I have been struggling over the past few months with weight gain, hair falling out, skin breaking out, and just feeling off even though I was still eating clean and working out hard daily. 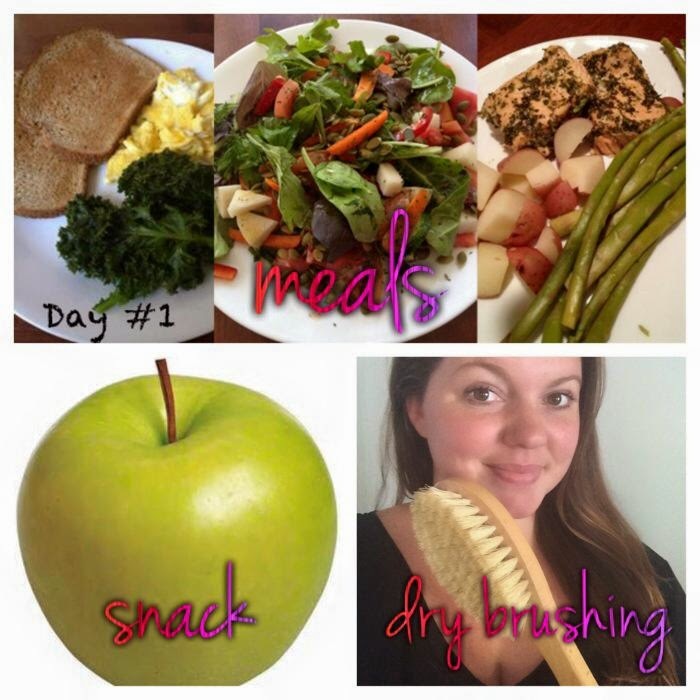 My "after" results were slowly slipping away and I could not understand why! I was doing everything right. I tried to get stricter in my eating, I did more intense workouts trying to correct the issues. And to much disappointment, nothing was happening! To see my abs disappear and all my hard work to basically go down the drain, I was distraught. To be honest, I still am. But I'm going to fight back! I finally had blood work done and the tests showed extremely low testosterone & estradiol levels. Still hypothyroid but they noted my thyroid antibodies were extremely high which points to a thyroid autoimmune disease. I will see an endocrinologist this week to pinpoint exactly what is going on with my thyroid. And we still haven't ruled out early menopause (I'm only 31!) Yikes! So in a nut shell, I'm a hot mess right now. And I don't want to go into "hiding" during all this and pretend everything is ok on social media to my followers. I'm just going to be downright honest about the whole deal. I know there are so many other women out there going through this same thing or similar situation so if I can bring some light to them and let them see there is hope and you can be healthy and have the body you want, then it's worth it to share. Of course, I don't really care for fake ingredients in my medicine so I'll be taking the natural route to getting back to normal. Think traditional Chinese medicine (herbs, acupuncture), yoga, massage, and if need be, bioidentical hormones. This has scientifically proven to lower cholesterol, raise testosterone in men, help you lose weight, and lower blood pressure! And you can have a normal life during these 3 weeks exercise is limited to walking/swimming, just something light so your body can focus on healing. Today I woke up with one heck of a headache, normal part of detoxing. That's my body starting to get rid of the junk and also it's sign of missing my morning coffee. And I'm not a fan of the supplements I have to drink. But I'm also not a fan of how I feel and look at the moment so I just sucked it up and took them bc I want to be better! That brush I'm holding is for dry brushing your skin. There are SO MANY benefits to it, check out this article and see why you should start! There you have it! On to day 2 today. 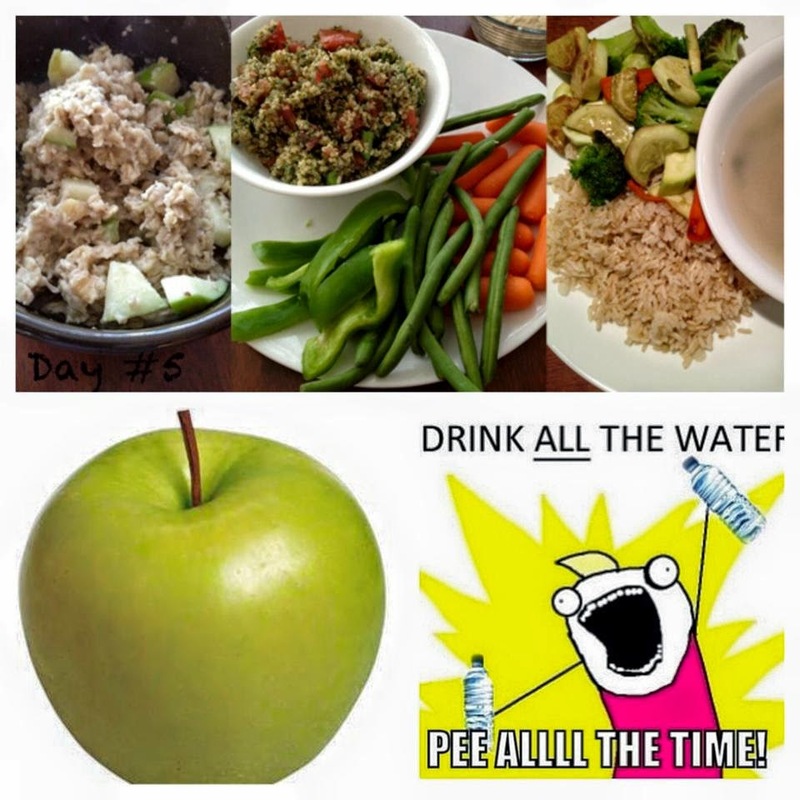 Today I begin day 6 with the Ultimate Reset. While I'm not going to get too excited, the scale has moved down 5 lbs. over past 5 days. Now if it keeps moving over the next 2 weeks, THEN I'll be excited bc I know something is changing! Headed out today to see a new endocrinologist! Hoping to get more answers so I can start a successful natural treatment. My headaches are gone now that my body has adjusted to no morning coffee. I'm still feeling tired, but I do feel an extra burst of energy during my day I haven't had in a while. That has been nice. 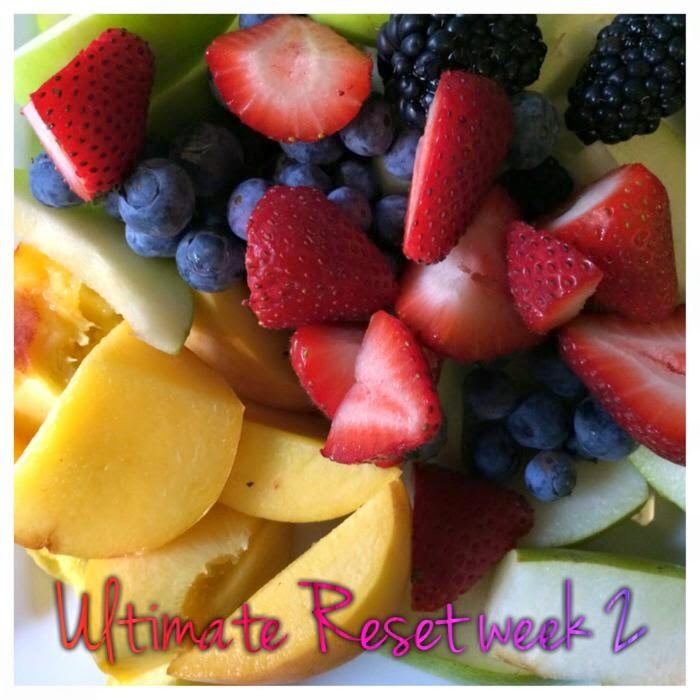 Update of the Reset...on week 2 and here's what's awesome- I no longer crave or want breads or cereals. My favorite cereal is in the house right now and I don't even care! Easter candy is in the house and I am not tempted. Normally my cravings would kick in and I'd be nibbling here and there. But nope. Not right now. I must confess I did cheat on Easter with a normal meal, but it was just one meal and I'm back at it. I paid for it too bc my tummy was upset and I felt like crap. Which further proves you eat like crap, you feel like crap! I can tell too. I feel lighter and look less fluffy! So I'll just do a happy dance for that! At least something is changing! Five years ago I started drinking a protein shake with some fruit and veggies added in cuz I KNEW I needed something. I kind of laugh now though looking back. I figured since I was getting in lots of protein and added spinach and a bunch of green stuff that I was doing good, right?? Add that all up and you're at over 400 bucks. And you STILL don't even have all the super foods and nutrients that you get in Shakeology. But guess what? 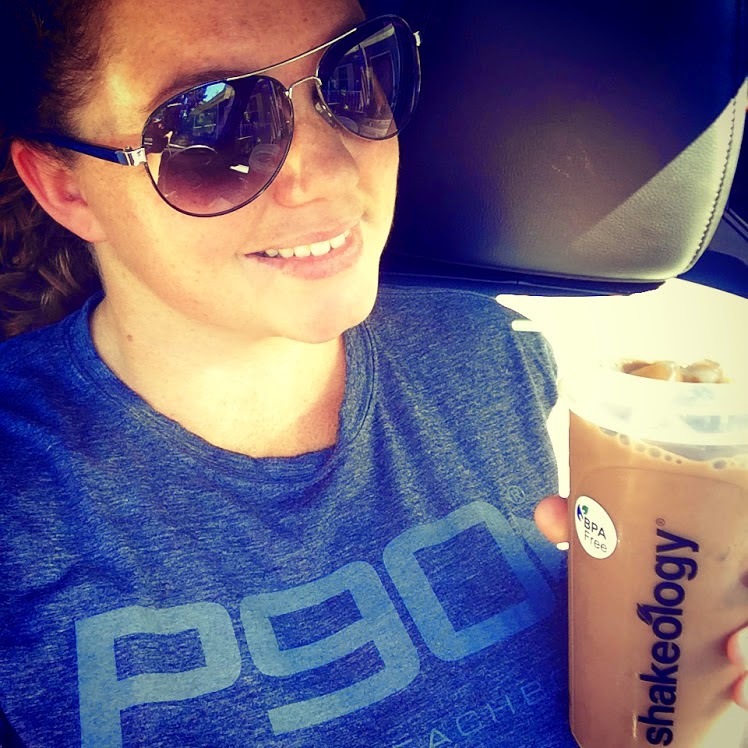 ALL THAT IS IN SHAKEOLOGY >>>>> And more! <<<<<< It's the most DENSE superfood I've ever found. And I say it's dense because it has protein, essential amino acids, prebiotics, probiotics, digestive enzymes, adaptogens, antioxidants, phytonutrients, and 23 vitamins and minerals. AND..... it's WAY below 400 dollars. After having a shake everyday for the past five years I can honestly tell you I STILL crave this and look forward to my daily dose of dense nutrition. AND I appreciate the savings too. There is even a VEGAN version! How awesome is that?! *Preheat your oven to 400 degrees F (you’ll need the oven to roast the garlic). *Peel, devein and rinse the prawns. Pat dry with a paper towel. Season with salt and pepper. Place the prawns in fridge until ready to grill. *Trim top of the garlic head off; leave the garlic intact and do not peel. Drizzle with a little olive oil. Roast the garlic in the 400 degrees F-heated oven for about 10-15 minutes or until slightly tender and fragrant. When ready, remove from oven. Let cool briefly. Peel and crush or chop the garlic finely. *In a small bowl, combine the garlic with the cilantro leaves, lemon juice, white wine and chili sauce (or chili flakes). Whisk together and set aside. *When ready, heat a cast-iron grill or griddle to medium high. Dress the prawns with some olive oil and grill for 3-4 minutes or so on each side. You want to achieve some char, but be careful not to overcook. 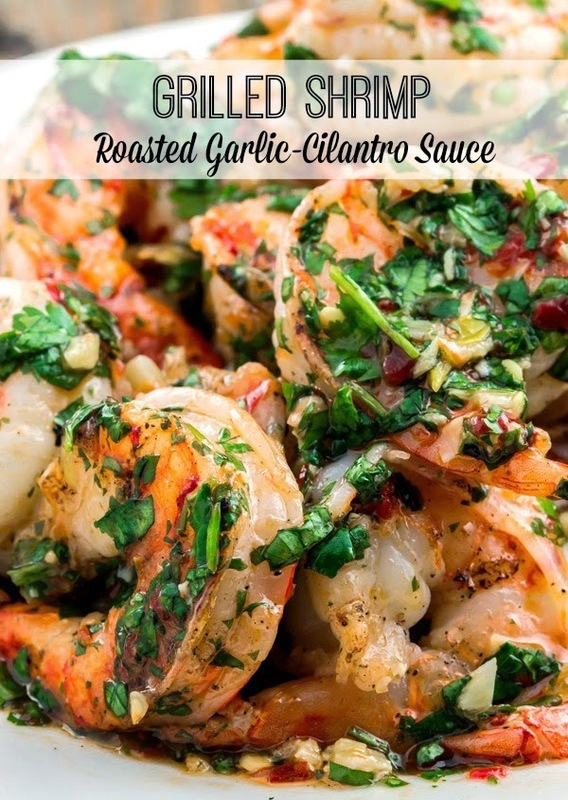 *Remove from heat and coat the prawns with the roasted garlic and cilantro sauce. Alternatively, serve the sauce on the side instead. This shrimp is great served tapas-style next to other small plates or if you want to serve it for dinner, try it next to plain rice or couscous with some green beans and a simple Mediterranean salad. Or, do it Italian-style and add pasta! Simply make more of the sauce (double or even triple the amount) and toss the extra sauce into just cooked pasta. What if I told you that you could have UNLIMITED streaming access to these workouts AND have access to their nutrition guides PLUS support from me as your coach for LESS than a gym membership?? Would you be interested?? That's what's happening TODAY! Beachbody On Demand is live and READY to use! No waiting for programs to arrive in the mail, no DVD's, just instant access to a library of our most popular programs! If you'd like some more info please email me! If you are ready to get access, click here!